This photo was taken on Hennepin Avenue near 6th Street. The Masonic Temple (aka Hennepin Center for the Arts) is in the background. 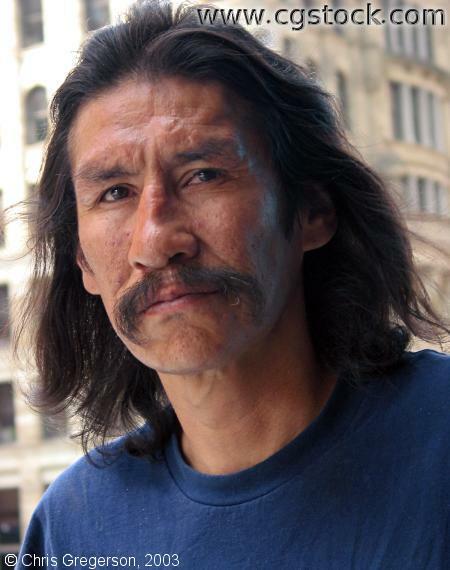 This man is originally from Canada, and is an Ojibwe Indian.